The combination of the powerful measurement system of the ADMA-Slim and the extremely flat low-profile chassis of the GST enables extremely precise implementation of complex test scenarios. Both the ADMA-Slim and GST fulfil the requirements of the international Euro NCAP and NHTSA test standards and can therefore be used worldwide for ADAS tests such as AEB Car-to-Car and Euro NCAP LSS 2018. 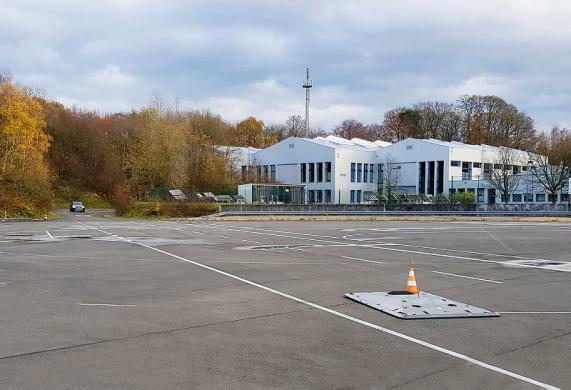 Klaus Weimert, Managing Director for AB Dynamics Europe GmbH said: "The advantage for our customers is that they will be focusing on two established systems which they already know, and which harmonise together extremely well, using this combination of powerful measurement system and ultra-flat soft crash targets. Its simple handling with all the well-known features can be used as before".